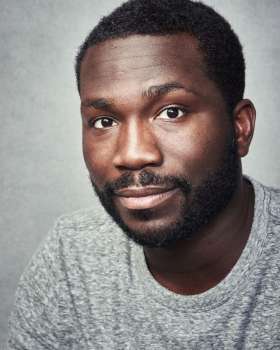 Kwame uses his undeniable charisma and on stage presence to play against audience’s expectations, which makes his comedy fresh, intelligent and most importantly funny. Kwame’s material touches on a wide variety of topics, drawing humour from his Ghanaian background, his childhood, relationships and his career, as well as current affairs, with witty and clever observations. Kwame started gigging in 2010 and very quickly reached the final of the Leicester Square New Comedian Of The Year. Since then, he has won the Chortle Student Comedian Of The Year and was a finalist in the Leicester Mercury Comedian Of The Year in 2013. He has been named as ‘one to watch’ by Time Out and more recently, was nominated for ‘Best Newcomer’ at the 2017 Edinburgh Comedy Awards. Kwame was born in London, and moved to Kent at the age of 9. He was a member of his local scout troop ‘5th Beckenham South’ for over 5 years, and continued to volunteer there as a part-time leader. He studied Medicine at University College London, where he was a keen sportsman, playing both Rugby and Basketball for the university teams. He now lives and works as a Junior Doctor in Birmingham, and is a member of the Royal College of Physicians.